Source talks with Martin Fredriksson, CEO of fashionable female Swedish family-owned snow baselayer brand, Eivy. Martin gives Source an insight into how to company started, what has been happening in the last 12 months and the changes they are planning to make for the future. 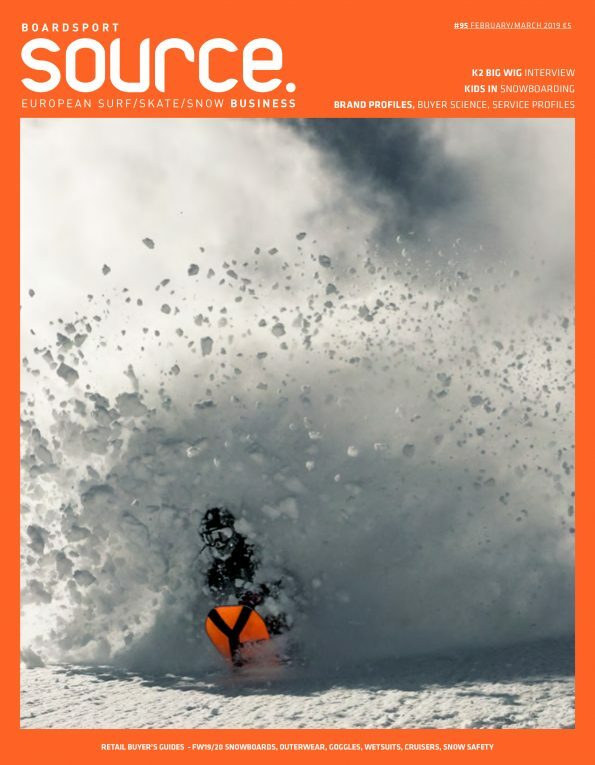 The brand currently works through Nitro distributors in Europe and is seeing great exposure to the snowboard market. Eivy was created by Swedish snowboarder and fashion designer, Anna Vister in 2009 to challenge and expand the perception of how multiFUNctional base layers can be. We have a history of steady organic growth, no investors and are family owned. In 2016 we started working with distributors for the select European markets, all of them also carry Nitro Snowboards making scale easier to handle. 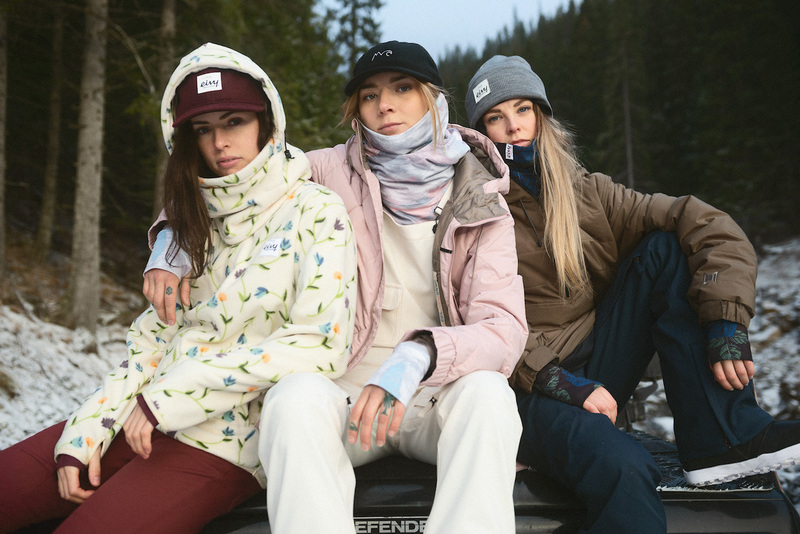 Our mission is to enable female snowboarders and skiers to pack light by creating the best and sustainable multiFUNctional clothing and our vision is to eliminate excess baggage. How have the past 12 months been for Eivy? We have increased our team to be as brilliant as possible and have as much fun as possible in the areas we focus on: Design, Production, Sales, E-Commerce, Marketing and Vision. This means we are 6 people at our snow fashion house in Åre, Sweden, each responsible for one of these areas. I recently took on the role as CEO to allow Anna Vister to focus on design and creative vision full time. We are continuing to grow organically and independent with all the challenges and benefits that comes with it! What’s new in products for you? Any new lines or collections/collabs? We have a new fabric that is non-transparent yet moisture wicking and stretchy that we developed with our factory during 2018, debuting spring 19 that we are very proud of. The Base Layer range has a new neck warmer / hood design for winter 19/20 so we have have six different variations of our neckwarmer on our base layers in total. Regular neck warmer, zip neck warmer, gaiter neck warmer, hood, zip hood and hoodie. Our line has grown slightly as we added fleece to our range of MultiFUNctional Base Layers, Socks and Accessories. Together with Tom at Transform Gloves we are dropping a two piece collab for winter 19/20 that is super fun! A primaloft insulated glove with Hipora waterproof insert topped with two select prints from our base layer range. Which European market has performed best for you in the past 18 months? The nordic countries which we handle directly have the biggest volume, and among our markets, we have distributors in, Germany is the strongest volume-wise, but we are increasing in all markets thanks to our great partners and team. What has been the biggest challenge to building your business and why? When Anna started Eivy it was mostly core shops with male buyers, that needed to be educated on how to sell function and fashion driven base layers. When their wives and girlfriends got their hands on a set, it often sealed the deal and got Eivy into the shops. Our fabric has always been an area of constant improvement for us as we want it to be four way stretch, moisture wicking, non transparent, perfect weight, soft and at the same time have the end product sit at a sound price point both for the end consumer and the people producing our garments. Our garments are already sustainable in terms of being extremely durable and multi functional – eliminating excess baggage, the exact opposite of fast fashion. Our next focus is on the sustainability of the fabric, where we are constantly evaluating what’s available and what’s on the horizon as this part of the industry is developing rapidly. Any innovative retail initiatives you’re working on? We have left the traditional cycle behind and are now doing a setup where our Drop One main collection is available for pre-order until mid February with delivery in September. Drop Two consists of carryovers from Drop One and additional styles, available for pre-order until mid-May with delivery in mid-January. Less risk – Spread delivery and payment during the whole season for the best-selling carryover styles available both in Drop One and Drop Two. Full winter overview possible in one buying session facilitating cash flow and store planning. Buy and adjust Drop Two all the way into mid may, with fresh intelligence on current winter sell through. The time frame extends beyond regular winter buying – five months in total, with top selling carryovers available in the Drop Two pre-order time frame as well. True to our DNA, a winter brand offering MultiFUNctional clothing. Longer production time frame for Drop Two, eliminating risk of air transport and late spring deliveries. Designing the Winter collection as one holistic winter offering. Increased resources available during summer for brand building, PR and content generation for increased sell through during autumn, winter and spring. Please tell us about the new members of your management team? Amanda Fahlander comes from some of the major e-commerce retailers in northern Europe such as Sportamore and Wakakuu. Johanna Krook comes from a bunch of seasons of snowboarding, taking care of our product seeding and customer service and most recently Linnea Lord comes from Scandinavia’s biggest resort operator Skistar, and will handle production and cashflow. All of them have moved to Åre to come on board Eivy which we are super happy about! What are you doing with prices? Where do you position Eivy on the athleisure price scale? We are at the same level as previous seasons, with a slight differentiation based on what type of neck warmer design the base layers has. We are happy with our price point especially as our new fabric is incredible starting with the Winter 18/19 Drop Two coming out in January. What marketing activations are you running this winter? We are focused on providing girls that inspire us and have the power to inspire others with Eivy products of their choice. We are also supporting the all-girls film Jyosei that starts shooting this spring in Japan, which we are really hyped on seeing how it turns out.